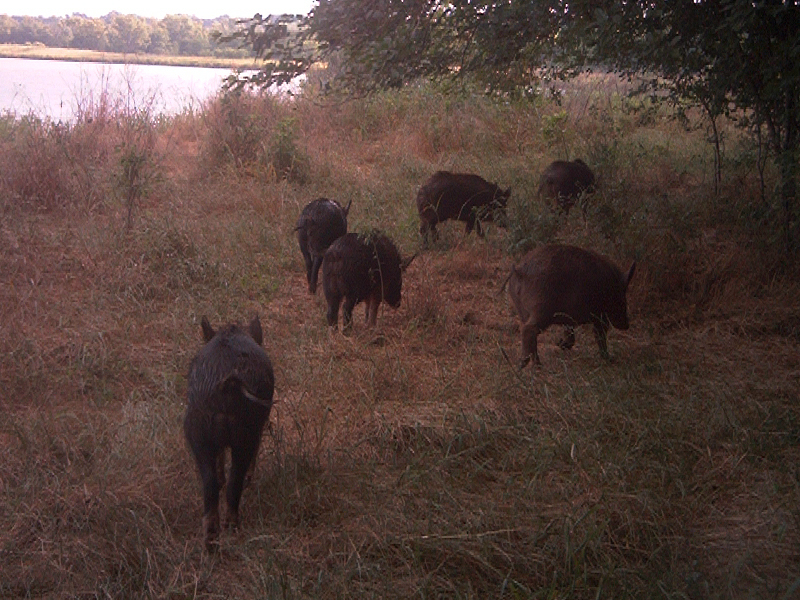 The Great Trinity Forest is simply awash with Feral Hogs. 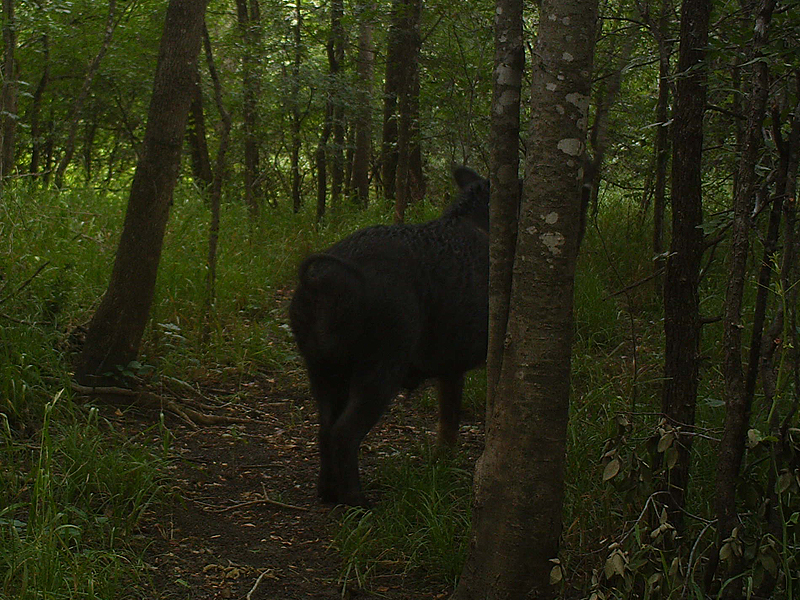 There are more hogs in these woods than can be counted, and their sign is everywhere. 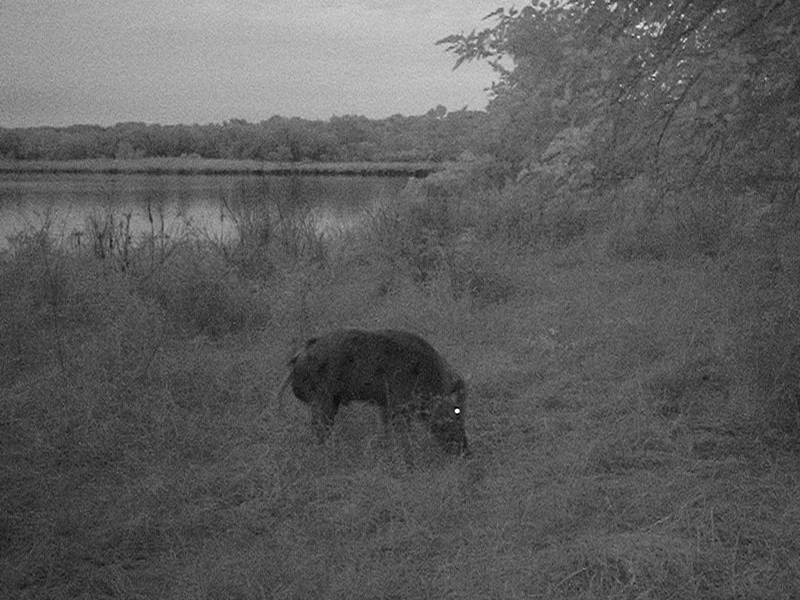 This is a sampling of Feral Hog pictures taken in the Great Trinity Forest by automatic Scouting Cameras. 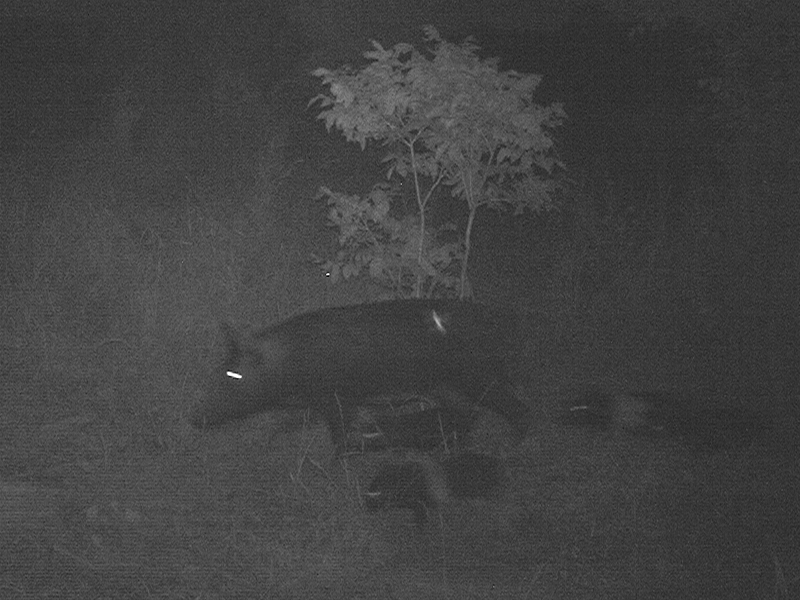 Of note are photographs of a particularly large boar, a sounders with at least nine pigs, a sow with piglets, and a uniquely colored hog with black spots. 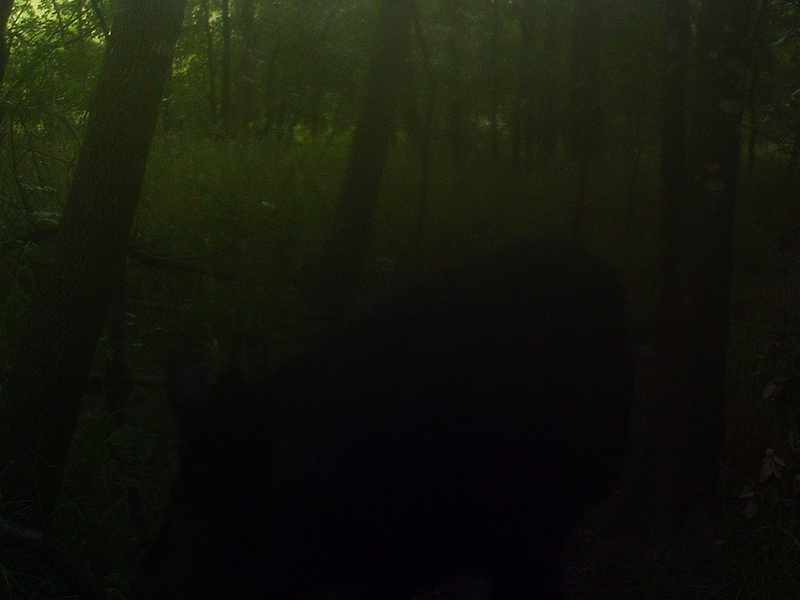 Early one foggy morning my Scouting Camera recorded an image of this extremely large boar. 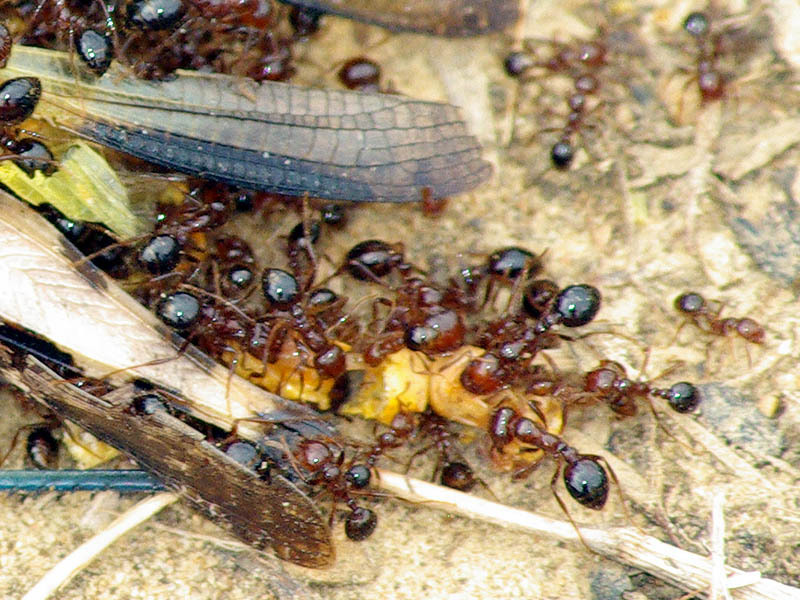 This big fellow was photographed on a number of occasions, but never when facing the camera. 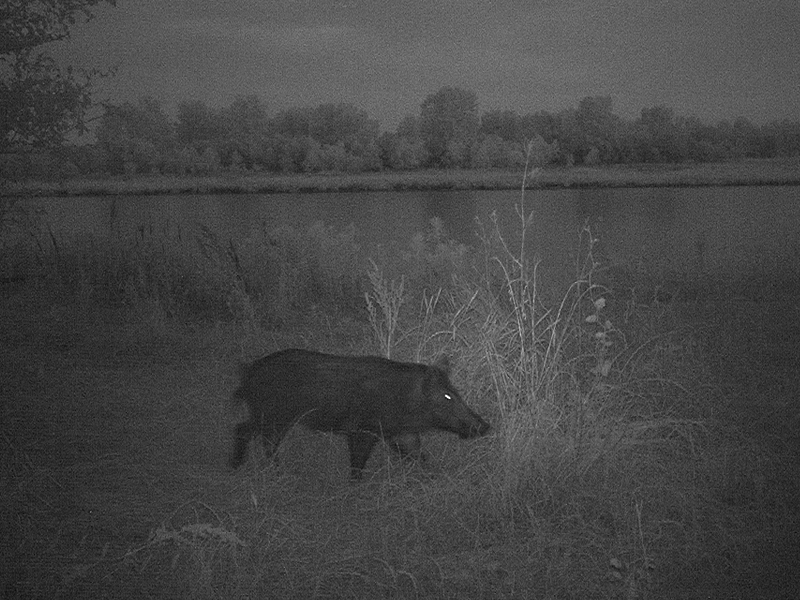 This unusual looking pig seems to be colored gray with black spots. 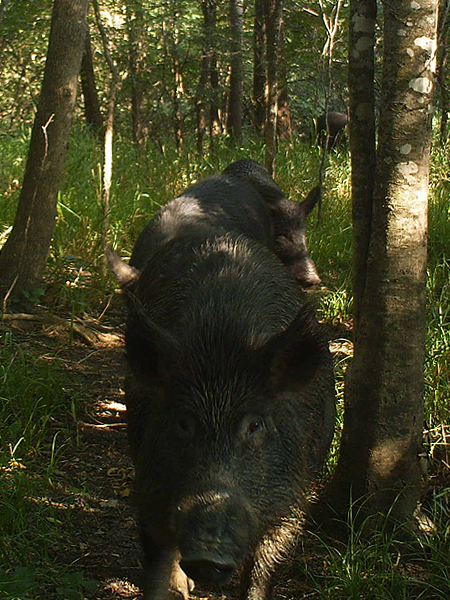 I count at least nine hogs in this sounder. 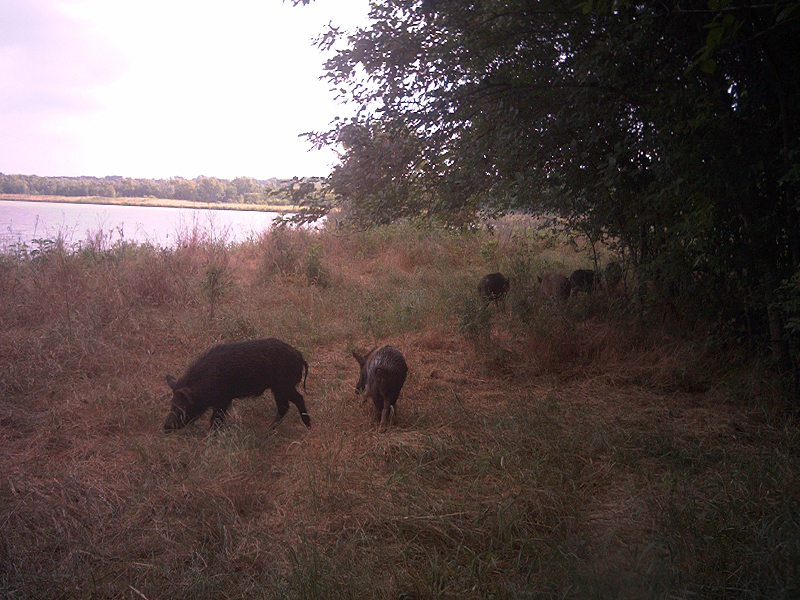 Feral Hogs foraging along the shore of a small lake in the Great Trinity Forest. 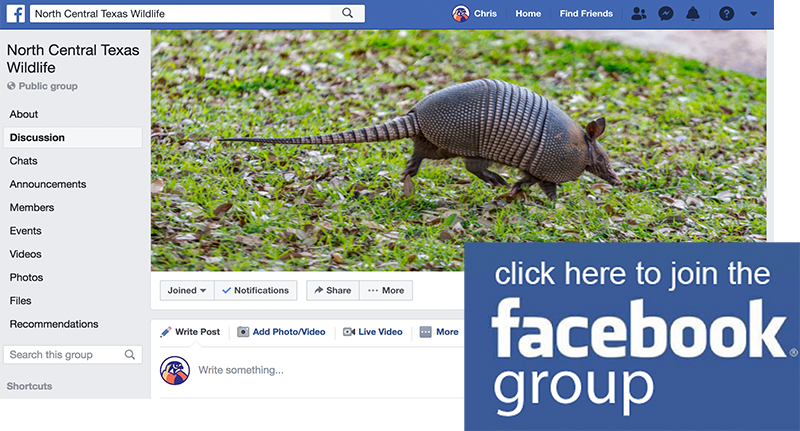 Feral Hogs in Dallas, Texas. 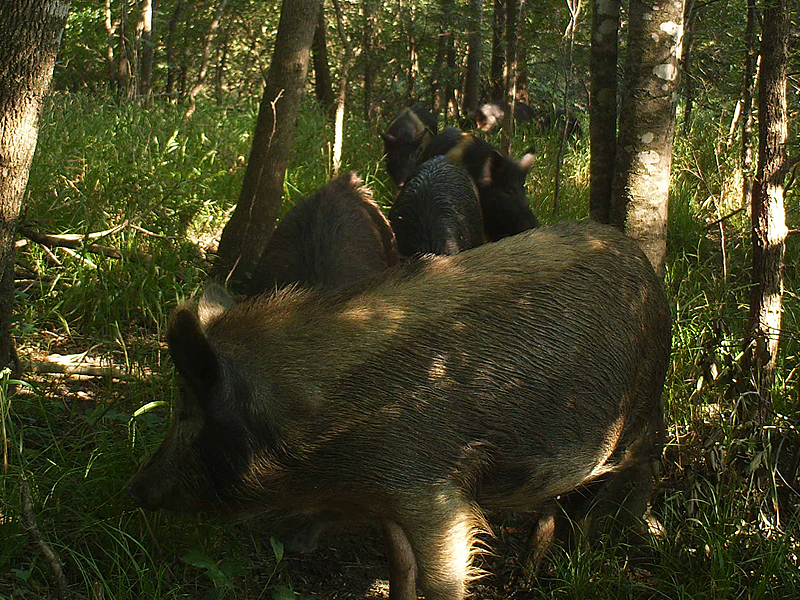 Feral Hogs come in all shapes, sizes, and colors. Well, the piglets are cute anyways!